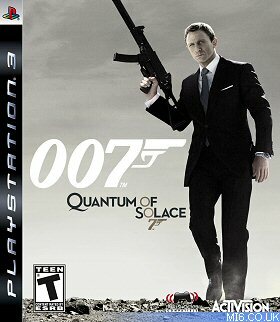 Can you tell us a bit about your job on "Quantum of Solace: The Game" and what it involves? I’m the Co-design Director which means I work with Jeremy Luyties and together we oversee the design department. Basically we help manage the entire team and decide what the basic format of the game is. We have leads in all the other departments and we all get together and decide what the content of the game is and how you play it. 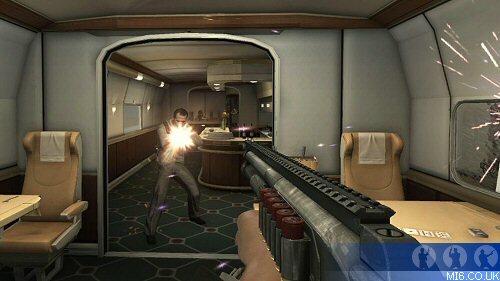 Above: Bond shoots his way through the train in a mission from Casino Royale. How many maps can players expect in the multiplayer mode? We have twelve and we’re probably going to do some downloadable content. I’m not positive yet but I’d be very surprised if we don’t. 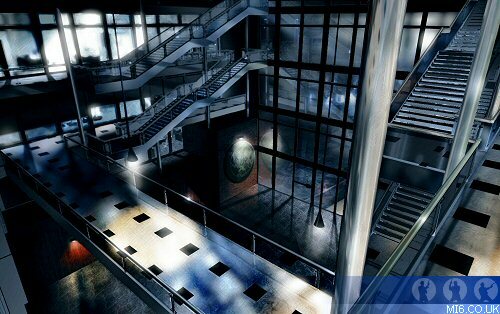 We’ve seen concept art of a dark MI6 building – will this be one of the downloadable maps? The MI6 building was actually originally a single player level and was cut from the game. We’ve turned that into a multiplayer map – whether it will be part of the map pack I don’t know but now you’ve mentioned it, it probably will! Above: Concept artwork for the MI6 level which is now a multiplayer map. What role do security cameras play in the single player how does the player disable them? The enemy is watching them, so if the security camera spots you they send in a group of elite guards to take you out. It elevates the action and makes it a lot more difficult, they have superior tactics they use against you. There are a lot of different aspects to the cameras. The player can patch into cameras in the level and once they’ve done that they can turn on the positions of all the cameras on their radar. To actually disable them it’s quite straightforward – you just need to get underneath it and hack into a box. How does the player earn credits in multiplayer and to what extent does it affect their ability to unlock or purchase new weapons? Players can earn points through gameplay; getting assists, kills and earning points through the various game types and they allow you to unlock and improve various weapons. We also have classes as well, so even if you for any reason decide you never wanted to purchase a weapon, there are different ways you can play the game with no money in your bank account. 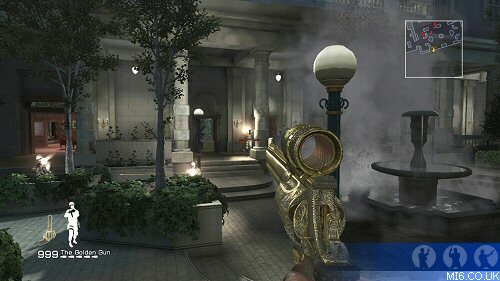 Above: The Golden Gun weapon is a single-shot kill in multiplayer. How do weapon attachments work? In the case of the silencer you can just take it on and off. We also have a night scope and laser sight. What role do enemy cell phones play in the game? They contain data you can pick up throughout the game. You don’t have to do anything with them if you don’t want to but there are achievements based on collecting them. They give you data, they give you background and some story. They give you a little bit of personality that we didn’t want to put directly into the game because we didn’t want to slow it down. There are things like emails, text messages or voice messages from Mr White, Mads Mikkelsen, Mathieu Amalric and all these various characters in the game. They give a lot of flavour to the game and also some of them tell you secrets; places to go to get new weapons, power weapons or secrets within the single player. The game starts off following the events of "Quantum of Solace", and then uses flashbacks to key scenes from "Casino Royale" before ultimately concluding at Dominic Greene's eco hotel.